What can we say about this fab party? We had the BEST time doing this one. Ollie’s mom was great to work with because she had fantastic ideas that we were excited to bring to life. 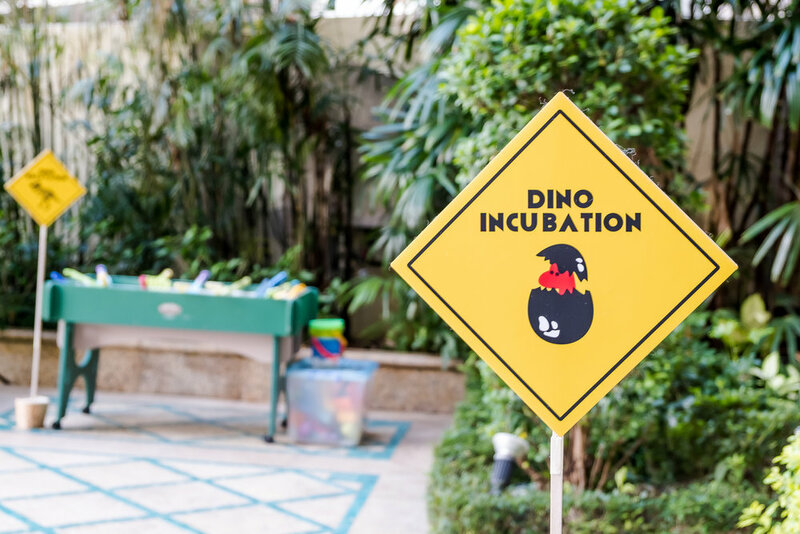 When guests entered, they saw this 3-foot dinosaur inflatable with a party hat on, holding balloons and standing beside a cute sign. 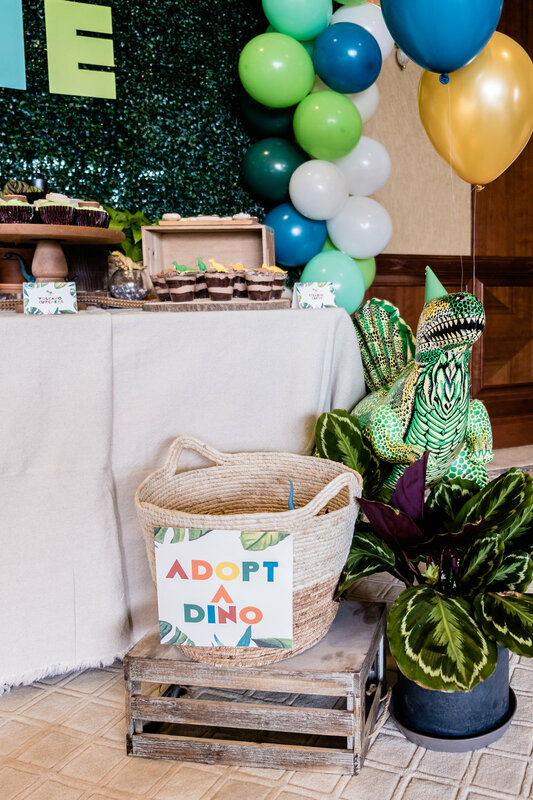 We created dig cards and paleontologist badges for each guest, with jute favor bags filled with all sorts of goodies prepared by our client. 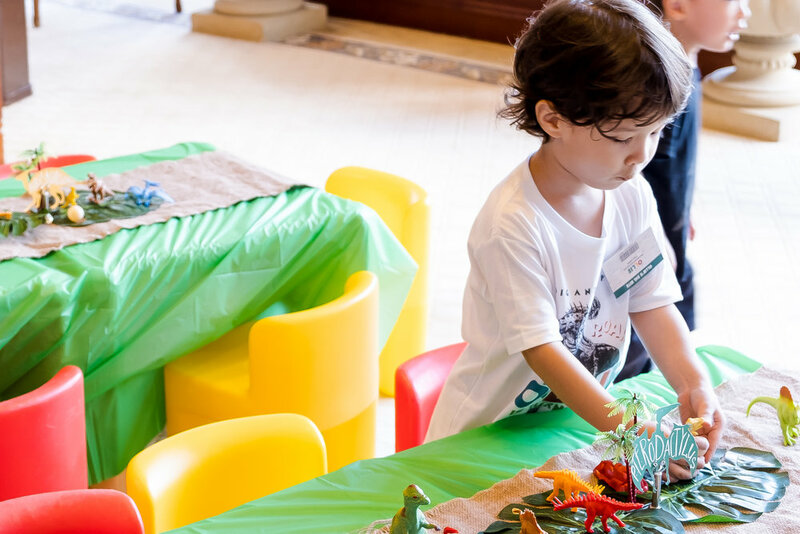 We even handmade dino party hats for each little guest. 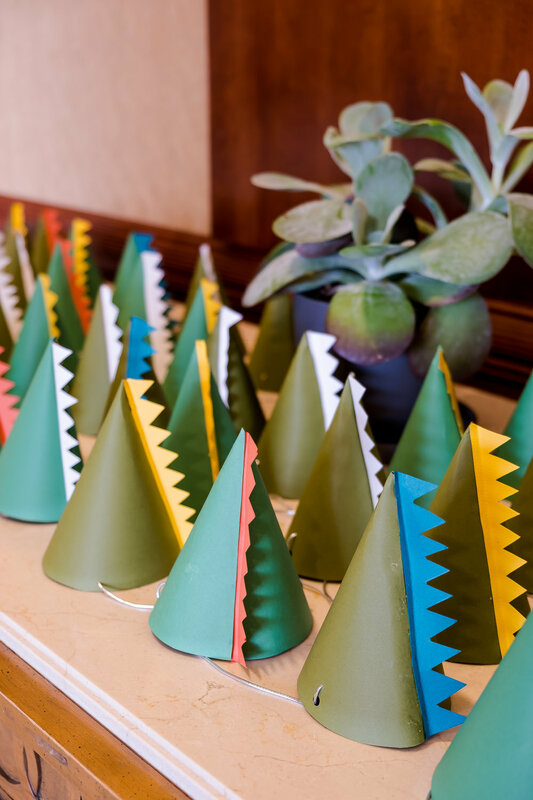 Upon entering, they can see all of these laid out on a table that had this really awesome centerpiece that mixed great material like wood and metal. Since we can’t do the party outdoors, we brought a semblance of the outdoors inside. We did a grass backdrop with Ollie’s name in 3D letters. 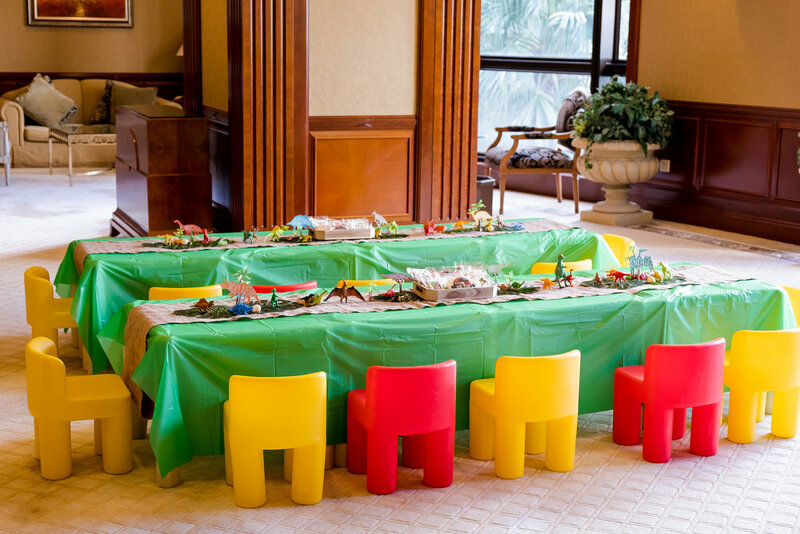 The table has wooden crates and risers, log platters and bowls, and all sorts of creative and yummy desserts. The birthday cake done by Cuppacake was this genius hatching dinosaur egg. 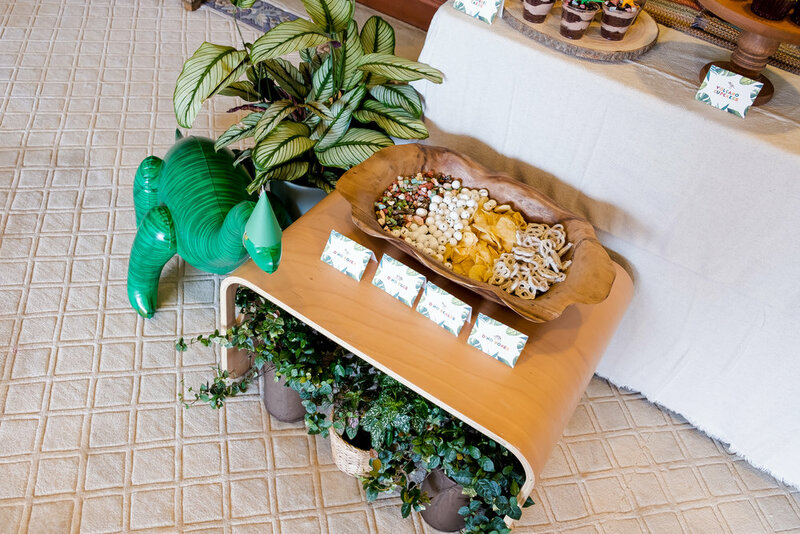 We had cute cake cups with little dinos grazing on chocolate dirt, white chocolate and oreo mini donuts, salted caramel cupcakes with 2D dino toppers, and mini fruit cups with these custom designed dinosaur stickers. Plus those cookies by The Little Whisk were amazing. 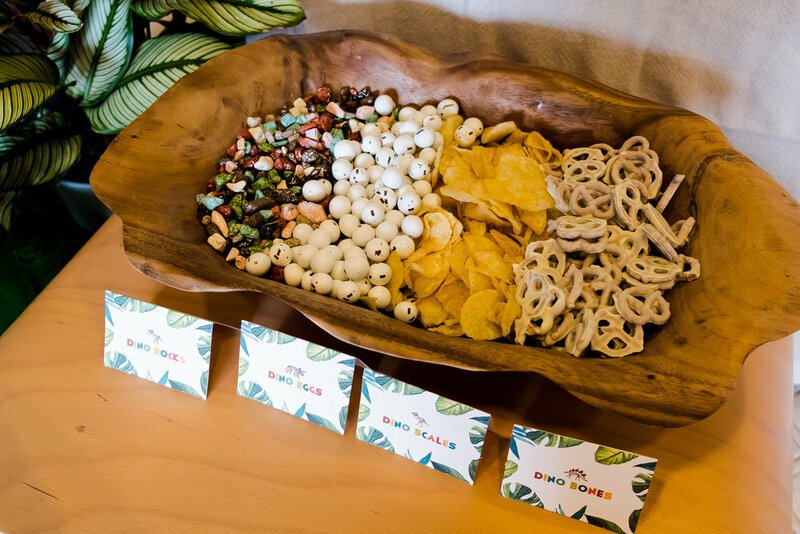 We also used this amazing wooden bowl filled with chocolate rocks, dinosaur eggs and dinosaur scales (i.e. white chocolate covered pretzels and chips) and put this at a lower height so the kids can easily get to them. 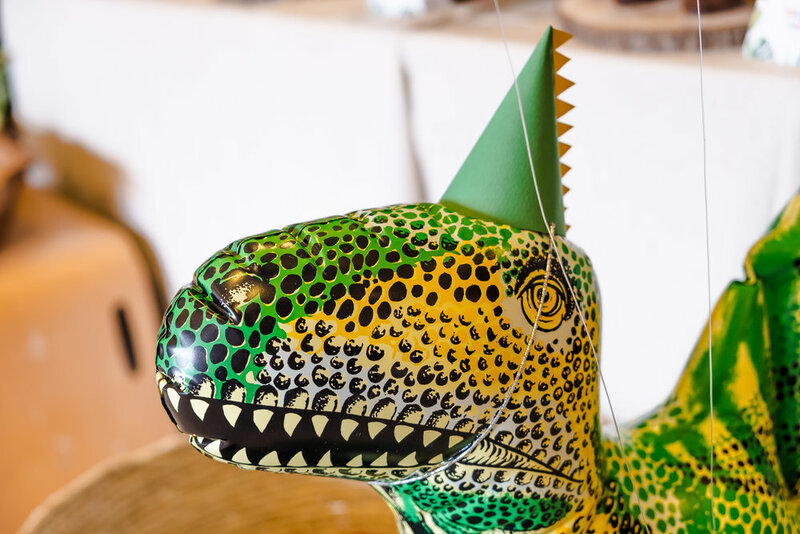 And we had dinosaur inflatables which we made more festive by giving them handmade dino party hats! 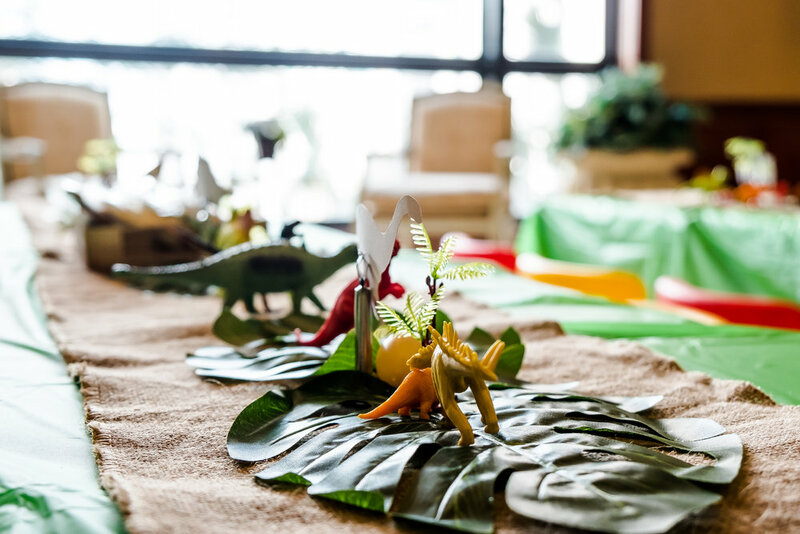 For the kiddie tables, we did fun dinosaur playscapes which kept eating children entertained (and tired parents happy) busy. 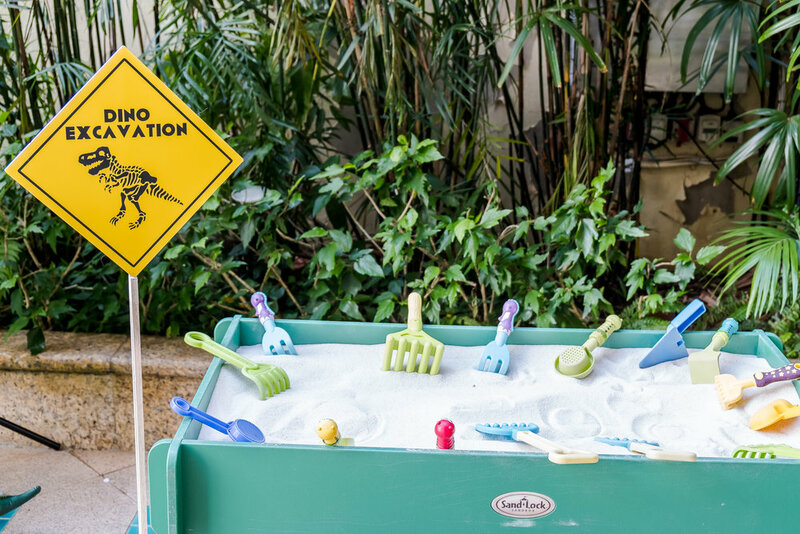 Ollie’s mom made this whole outdoor area fun with a digging activity complete with sand table and homemade dinosaur eggs the kids can break and smash to find dinosaur fossils . They can even piece different dinosaur bones together like a real paleontologist. We added to this area by making fun signage around the area. 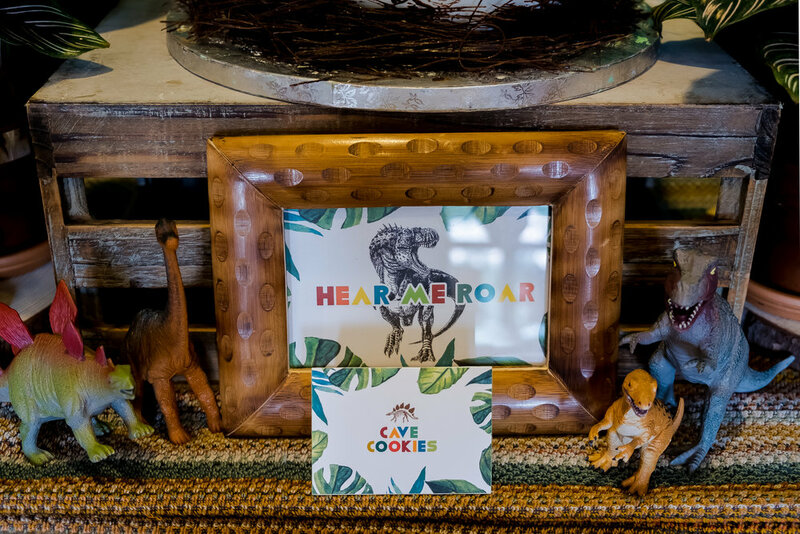 We also made an organic balloon garland frame with more fun dinosaur inflatables in party gear for people who wanted to take a quick snap.